When should you see a doctor for IBS? Pain, diarrhea, and constipation are common gastrointestinal symptoms. For many people, these symptoms go away on their own. For other people, these symptoms are frequent and bothersome. How do you know when it is time to see your doctor about your gastrointestinal troubles? One patient organization recommends seeing your health care provider if unexplained gastrointestinal symptoms continue for more than a month.3 If you think you may have IBS, it may be helpful to keep a symptom diary that you bring to your doctor appointments. Symptoms that begin to interfere with daily activities. Symptoms that cannot be managed with your usual home treatments. About half of patients with IBS receive treatment from a primary care doctor, and the other half go to a gastroenterologist for their care.6 A mental health professional may be helpful for people who have IBS and depression, anxiety, or another mood disorder. IBS is often undiagnosed. In many cases, people do not seek medical care. In other cases, the diagnosis may be delayed. Here are some statistics about diagnosing IBS. Chang SY, Jones MP. 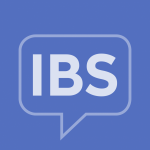 Consulters and nonconsulters in irritable bowel syndrome: What makes an IBS patient? Practical Gastroenterology. Dec 2003;15-26.
International Foundation for Functional Gastrointestinal Disorders. IBS in the Real World Survey. Summary Findings. August 2002.